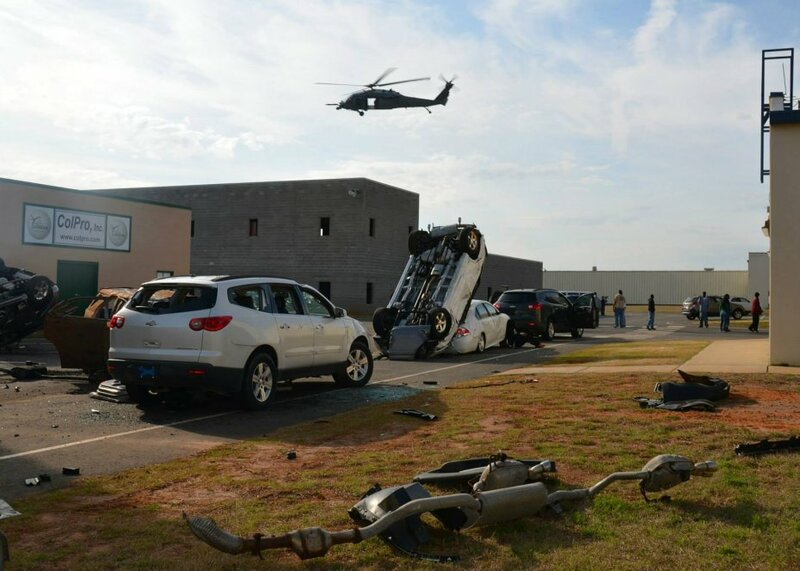 Guardian Centers’ training venues enables a warfighting organization flexibility to exercise critical functional areas that would routinely be nationalized at other training areas. Guardian Centers robust campus creates opportunities for compartmentalized multiple target scenarios that exercise air and ground infiltration to target and independent prosecution of those targets with command and control utilizing a single or multiple C2 element(s). Within the metroplex lies a fully functional three story government type building with working elevator and FAA certified roof-top helipad. Guardian Centers can provide, English and non-English speaking, realistic role player support to include victims, casualties, bystanders, press or aggressors.